"Malaria No More" is a nonprofit organization that aims to end death caused by malaria in Africa by 2015. Malaria No More aims to achieve this by engaging global leaders, rallying the public, delivering life-saving tools and education to families across Africa. In April 2014, Malaria No More through the Federal Ministry of Health, National Malaria Elimination Programme and its partners launched the national malaria awareness campaign; 'A Malaria-Free Nigeria: Play your part!' with the objective of reducing malaria deaths by 50% by 2015 in Nigeria. To date, celebrities that have supported the campaign by recording life saving malaria messages include; Femi Kuti, Stephen Keshi, Mikel Obi, Victor Moses, Vincent Enyeama, Chioma Akpotha to mention but a few. 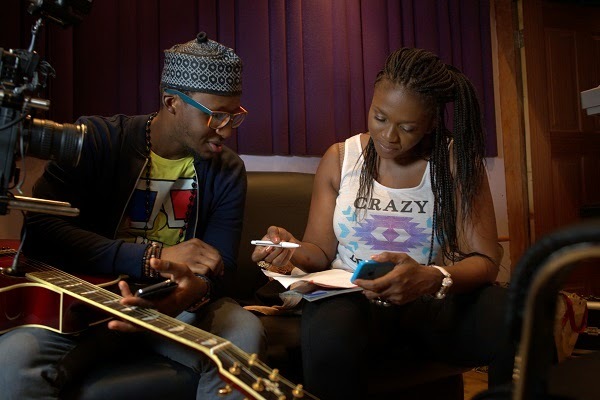 Part of the campaign has a malaria anthem with Bez, Waje, Eva and Falz lending their voices with educative malaria messages in a catchy and upbeat tune. The anthem was produced by Bez and IBK Spaceshipboi. Here are a few pictures from the studio session and the video shoot of the theme song.